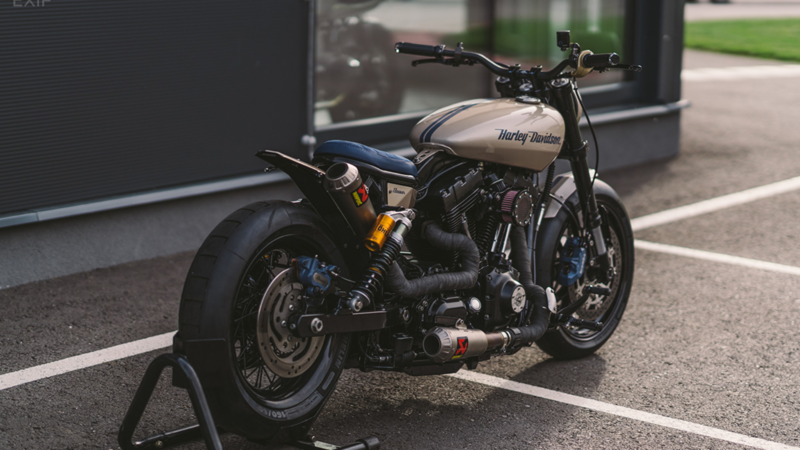 Daily Slideshow: Austria's NCT builds custom motorcycles that have a style all their own, proving that there is more to this tiny country than just Glock pistols and Arnold Schwarzenegger. 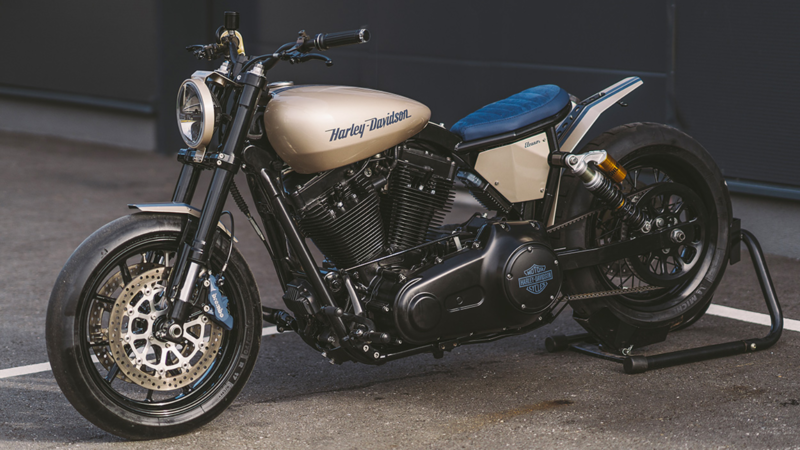 Austrian custom motorcycle shop, National Custom Tech, builds custom motorcycles that have a style as unique as Arnold "the Governator" Schwarzenegger and with the reliability of a Glock pistol. And, while not everyone is a fan of Glocks or of ole' Arnie...one thing is for sure, they are both quite successful, just like NCT. No doubt inspired by "Eleanor," (the 1967 Ford Mustang GT500 from the 1974 film, Gone In Sixty Seconds) this bike was built to be fast. So fast, in fact, that they took off the side stand. After all, a motorcycle only needs a side stand when it's parked, right? But the guys over at NCT didn't stop there... Far from it. >>Join the conversation about NCT's Dyna Super Glide right here in Harley-Davidson Forums. 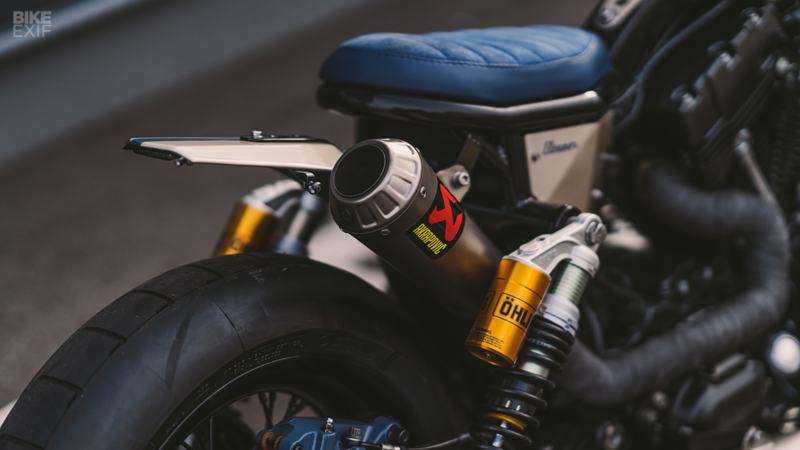 Everything about this bike is inspired by racing and everything is purpose-built for doing just that. 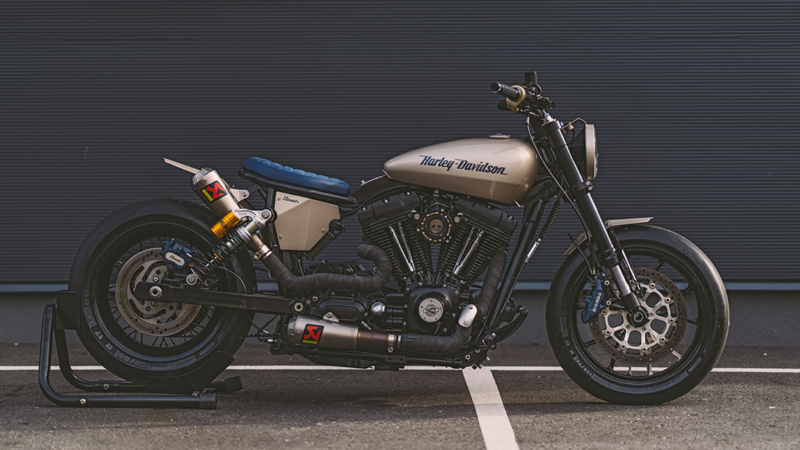 This 2009 Dyna started its life as a standard-issue Superglide, perfectly suited to cruise down to the local Hooters for bike night. But the guys at NCT had a vision to have this bike make short work of a quarter mile. This is how NCT intended for most challengers to see Eleanor. They cut out anything she didn't need in order to reduce weight, and gently massaged her Twin Cam 96" engine to give her a bit more power off the line. But, just like her Mustang namesake, they wanted her to look good, too. 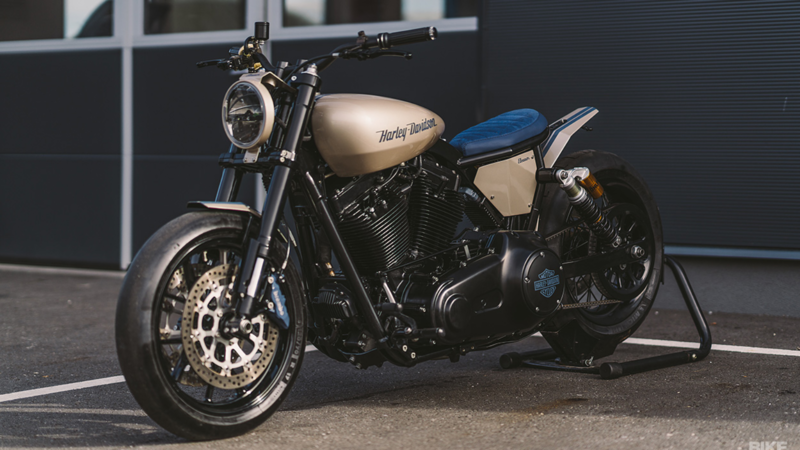 They trashed the stock Dyna tank and replaced it with a slightly modified tank from a Harley-Davidson Street and gave her a subtle and smooth bronze and blue paint scheme. If you caught on to that detail, then you are officially my favorite reader, because it shows that you are paying attention. Your observation is correct, race bikes don't need headlights, but Eleanor does. Because while she can easily drag the quarter mile in short time, she is actually a daily rider for her West Coast owner. The bike was shipped from California to Feldkirchen, Austria to be modified to what you see here. One reason that I love motorcycles so much, is because they are as interesting as their owners. Have you ever sat in an airport, or even a shopping mall, and watched people go by? Each person that walks by has a unique and different personality and style. 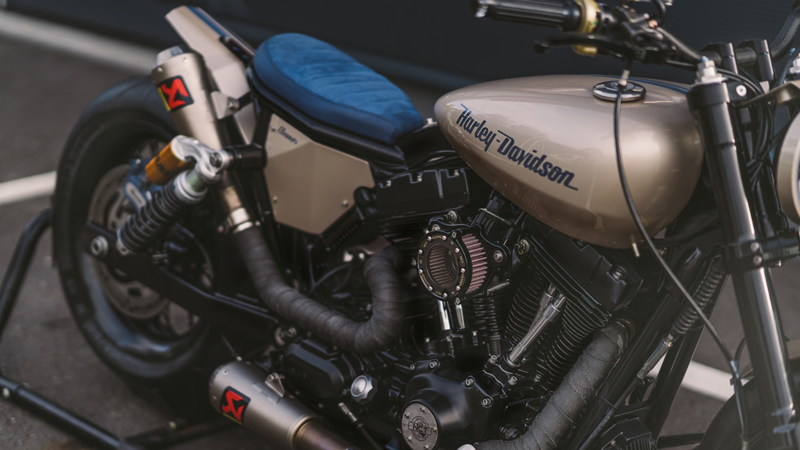 Motorcycles almost always reflect those personalities. How boring would our world be if everyone wore the same hairstyle, the same clothes, talked the same, looked the same, and rode the same motorcycle? 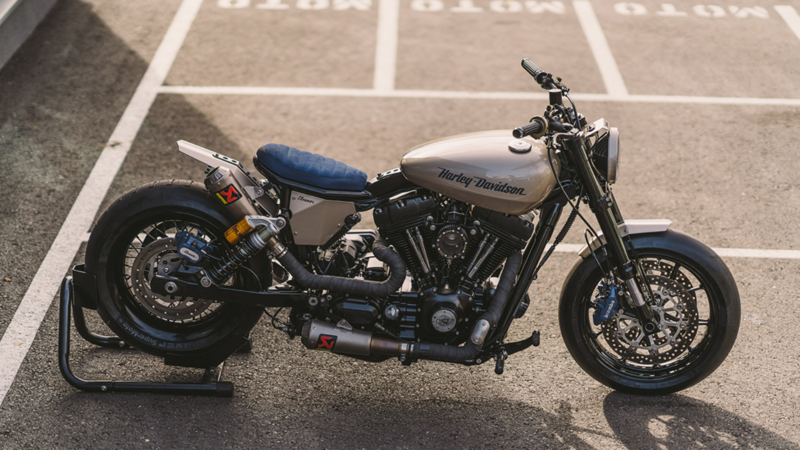 This Dyna is as unique and different as its owner and, while everyone's opinions may differ greatly about its style or functionality, one thing we can all agree on is that it's well-built and has an interesting style of its own... thanks to the folks over at National Custom Tech.